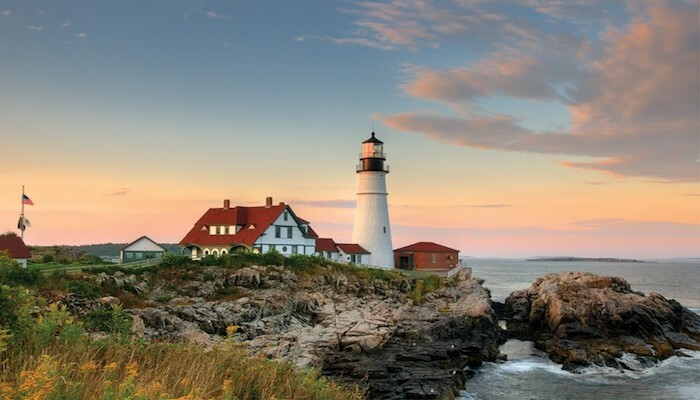 This is one of the oldest and most popular trails in Portland. 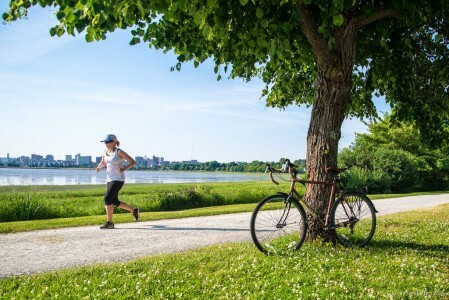 Back Cove offers amazing views of the Portland skyline, with water views for the entire 3.5 mile loop around this nearly circular estuary basin on the northern side of the City of Portland. This loop is mostly flat with a slight rise along the stretch that parallels I-295. 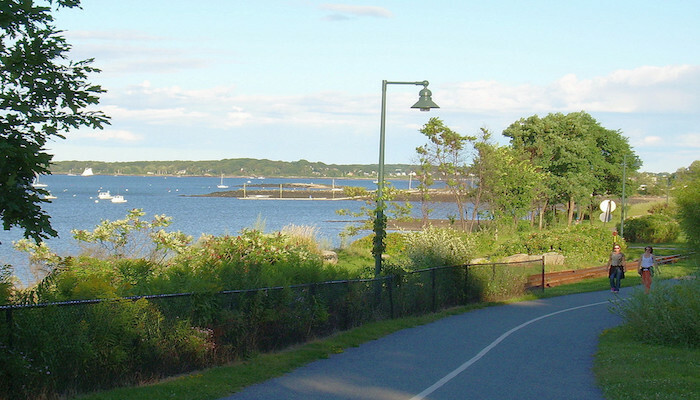 The Back Cove Trail connects to the Bayside & Eastern Promenade Trail under Tukey’s Bridge. This paved trail traverses the heart of revitalized commercial and residential neighborhoods in Bayside and East Bayside. Back Cove Park and Edward Payson Park can be very festive on a nice day. It offers convenient access to local businesses — numerous breweries, coffee shops and stores. It’s also easily accessible to folks living or staying in West Portland. For a longer run, connect to the Eastern Promenade and Bayside trails, toward downtown.